Beverly Middle School Homeward Bound: Early Bird gets the (Cheaper) Yearbook! 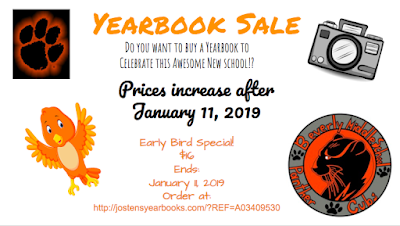 Early Bird gets the (Cheaper) Yearbook! The Early Bird special gives you the reduced price of $16.00. It's available now, but for limited time! The price will increase to $20.00 on January 11, 2019! Last Day for Lost and Found! Gr 8 - RSVP for Boston Trip! Lost & Found - Must Retrieve by Tomorrow! BMS Lost and Found - Get Your Stuff Now! Last Call for BMS Lost and Found Items!